Zoned for horses! 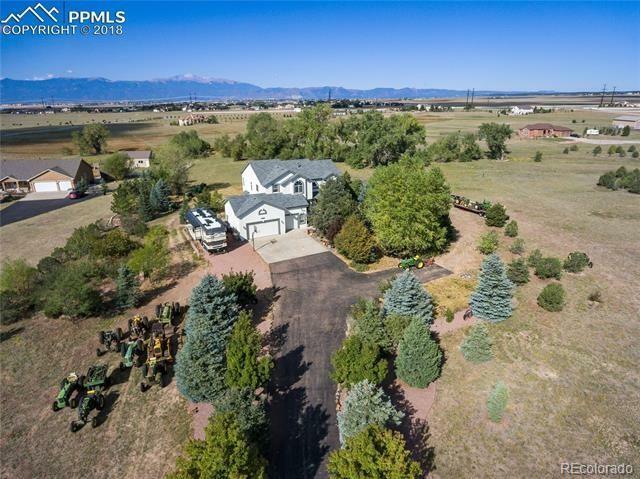 Over 6 acres with seasonal pond, fantastic mountain views, asphalt driveway, invisible fence installed & tons of landscaping/mature trees. Central air conditioning. Renovated kitchen with cherry cabinetry w/crown molding, cabinet pull-outs, granite sink, gorgeous high end granite counters, under cabinet lighting, double oven and island. Upgraded and high end lighting installed throughout the home. Spacious master suite with french doors, walk-in closet, 5 piece bath w/ double vanity, new shower surround and soaking tub. All bedrooms include walk-in closets. Upper level loft perfect for a playroom or second office. Multiple outdoor entertaining spaces. Large west deck with phenomenal views, custom built-in outdoor kitchen area with gas grill and refrigerator. Garden level unfinished basement with 10 foot ceilings, room for two additional bedrooms, an additional rough-in bath, rough-in wet bar and family room.